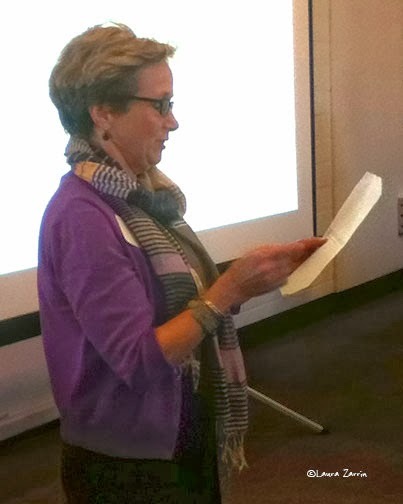 At the 2014 New England SCBWI conference, I taught a workshop with fellow author/illustrator, Russ Cox. 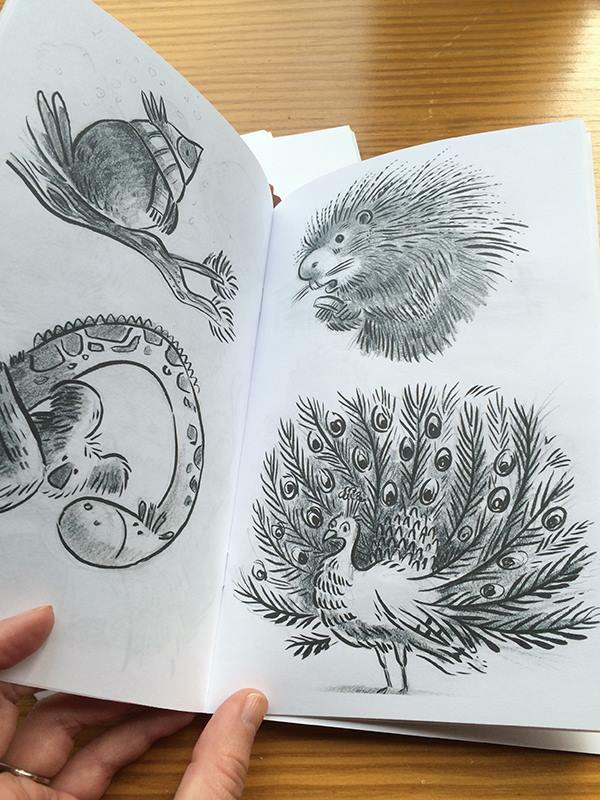 Our workshop was titled "Sketchbooks are Awesome!" 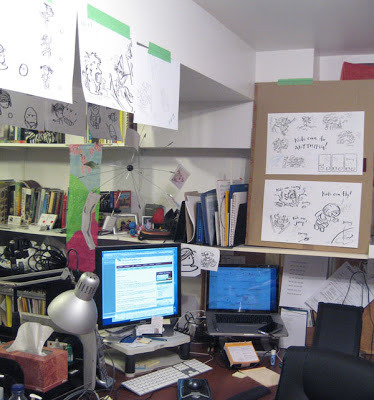 Both Russ and I have had rewarding career experiences through sharing our sketchbooks and we wanted to stress how important it is to draw every day...How, no matter what, you should set a little time aside for yourself. 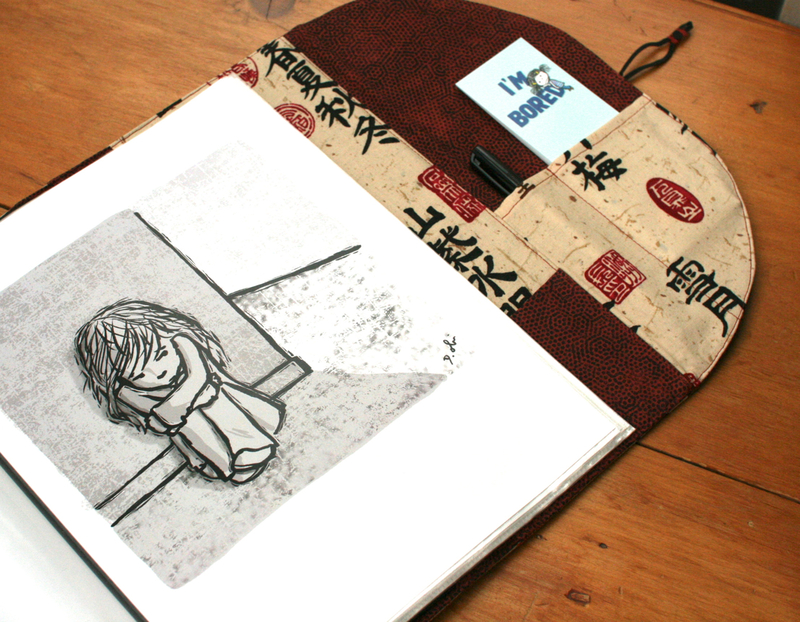 You might not always make something worth loving, or sharing, but drawing in a sketchbook is like writing in a journal. "Getting it out" is both therapeutic AND a way to become a better artist. Please enjoy! Let me know what you think or what you'd like to see more of in the comments! Drawing Demo: Starting from Scratch from Renee Kurilla on Vimeo. Becoming a member of the Society of Children's Book Writers and Illustrators might be the second most important thing I've done for my illustration career besides getting an art degree. 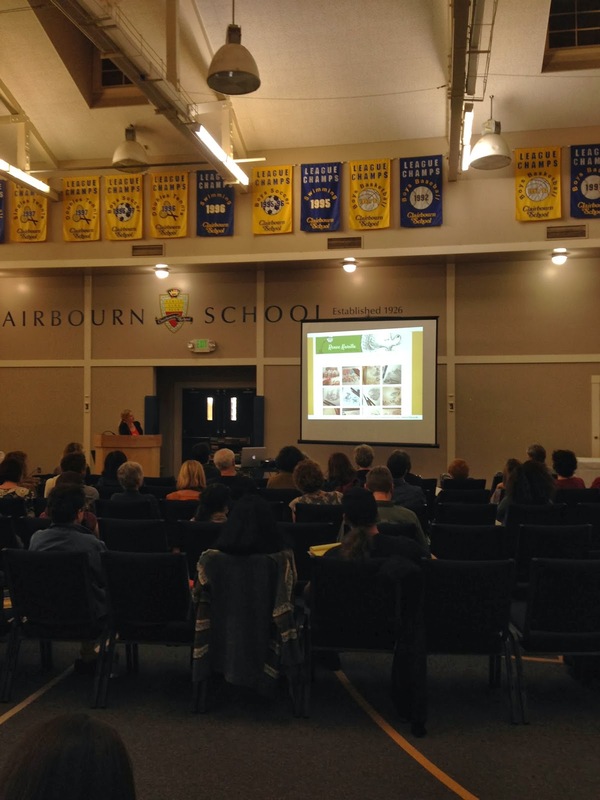 Last week I attended SCBWI Los Angeles’ Art Director’s Day (scroll down the linked page to see the details). It was probably the sixth or so Illustrator’s Day I’ve attended. Yep, that’s a lot of events, but I can’t stress how important it is to try and attend local SCBWI events at least once a year if you can. No matter which level you are in your illustration career, these local events are helpful, fun and so informative that they really shouldn’t be passed up if at all possible. Last week, for example, I had the good fortune of being able to listen and speak to well-respected art director Lauren Rille of Simon and Schuster, Isabel Warren-Lynch of Random House, Kelly Sonnack of the Andrea Brown Literary Agency and Cliff Cramp, an awesome illustrator and instructor at California State University Fullerton. They all shared really, really tangible information that is relevant to attendees at any level of their career. Lauren Rille, for example gave a very detailed presentation on the working relationship between the art director, the illustrator, and the editors. Isabel Warren-Lynch discussed the emotional connection between the art and the reader and Cliff Cramp gave a very inspirational talk on how the fundamental role of an illustrator is to tell stories. 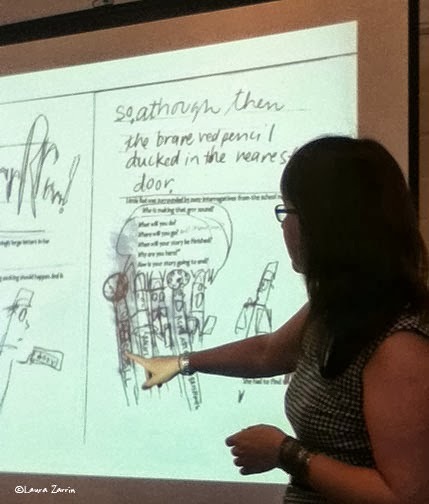 And Kelly Sonnack really broke a barrier and gave some straight-talk on the topic of money and the illustrator. Here is a really bad (dark and far-away) picture of agent Kelly Sonnack showing an example of a great illustration website. Whattya know?! It's a page from our very own Renee Kurilla's website! Not only do attendees get to hear invaluable information from the esteemed speakers, but they also get the chance to display their work for all to see. Yes, that sounds like a daunting task to some, but getting your work out into the world and in front of the right eyes is a necessary part of being an illustrator. Be brave! Having your work up there with everyone else’s gives you a chance to see how you can improve your craft and get ideas for portfolio presentation. Yes, the informative aspects of an event take up most of the day, but the other HUGE plus is getting to connect with other illustrators. Sometimes (or most of the time), illustration is such a solitary activity and getting to hang out with other illustrators is so important! I’ve made so many friends over the years and we’re all at various stages of our career at this point. It’s great to be able to learn from my friends and share stories as well as help others out! 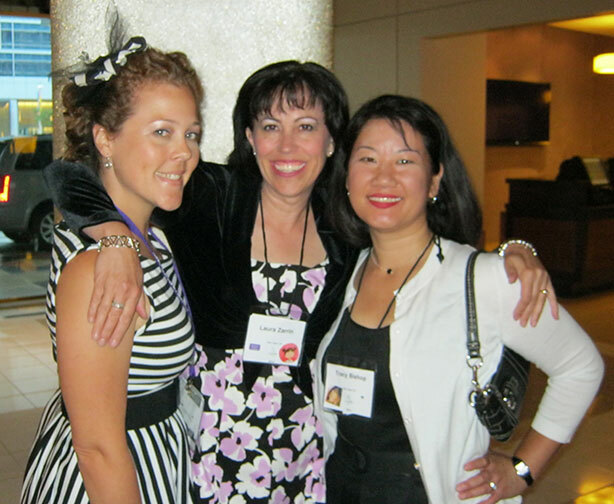 I spent so much time chatting with friends such as Eliza Wheeler, Kimberly Gee, Ken Min, Mary Peterson and many others! 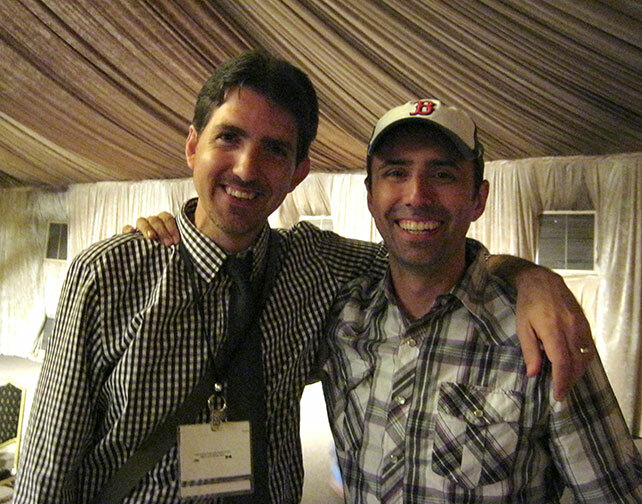 It’s also super cool to meet online friends for the first time in 3-D. Hi Bob McMahon! By the end of the event, exhaustion has usually set in, but it’s such a great type of exhaustion! A long day of learning, sharing and hanging out with friends will get you tired, but it’s so worth it in the long run! Leaving for the drive home with a mind and soul full of inspiration is worth so much more than the price of admission!!! What are your tips or things you try to accomplish when attending local illustration events? 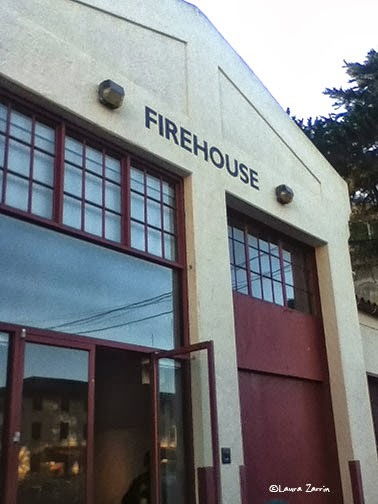 Cool venue for the day, just steps from the bay. 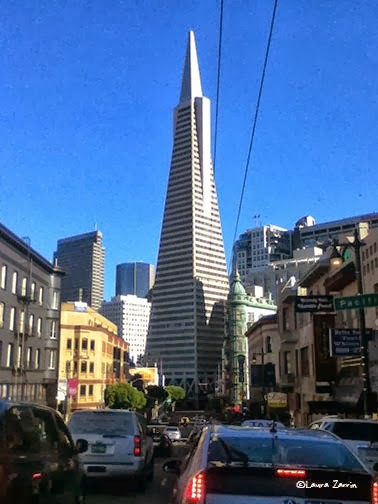 Last weekend Laura Zarrin, Joy Steuerwald, and I made our annual trek to San Francisco to attend SCBWI SF South’s Illustrators’ Day. This year’s main speaker was the fabulous Melissa Sweet. All of the presentations focused on the theme of how creating a picture book is the result of teamwork between everyone involved. It’s so easy to forget this simple fact when we’re all so focused on our slice of the work (in my case, illustration). I loved the format of having Melissa Sweet presenting with the art director and editor of two of her books. You can see how an exceptional picture book was created because everyone trusted each other’s expertise. Another part of Illustrators’ Day that is always fantastic is to connect with other local illustrators that I don’t get to see regularly. I loved seeing old friends (Hi! Brian Bowes and Shirley Ng-Benitez!) and making new ones (Nidhi Chanani, Susan Rankin-Pollard, Alina Chau, and Alison Farrell). As much as I love the conference itself, my favorite part of the day is always the drive home with Joy and Laura. Every single year we’ve always hit awful traffic while trying to get out of San Francisco to head south but we don’t mind. We all talk about what went on during the day and share what we learned and what we need to do next. I always come away so inspired to take on new challenges. Melissa Manlove, editor at Chronicle talking about the making of Little Red Writing by Joan Holub & Melissa Sweet. Melissa Sweet reading a note from Melissa regarding a spread in Little Red. My favorite part was meeting Melissa Sweet. She's always been a favorite of mine. I seem to have a section of my personal library dedicated to her books. (Shhh…don't tell my husband!) She spoke about her Sweet Squares project which she started as a way to observe nature. There were a lot of ooo's and aaaah's when she showed her gardens and studio. John Clapp, Associate professor at San Jose State, spoke about our work needing 'obsessiveness' like Melissa's has. 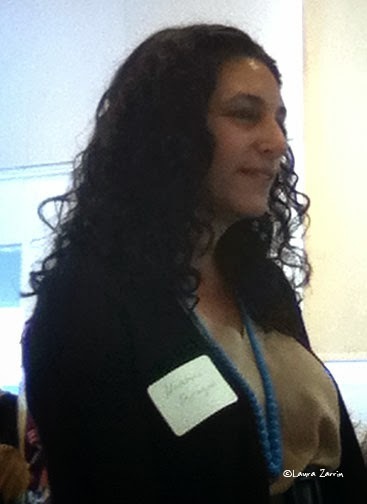 Isabel Warren-Lynch spoke about emotional connections in illustrations. Tracy and I were both lucky enough to have a portfolio review with her. She gave us both lots of ideas for improving our work. I especially enjoyed getting to talk children's books with Kristine Brogno and Melissa Manlove. Their passion and dedication is contagious. I also enjoyed Melissa Greenberg's presentation with Isabel and Melissa Sweet. It was a day of Melissa's. I learned so much and left inspired. 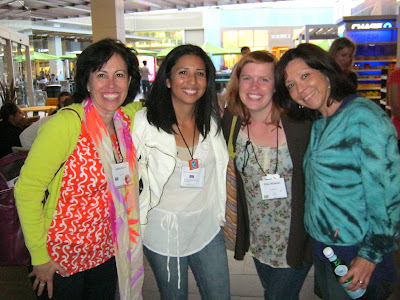 I can’t believe it’s been two weeks since the SCBWI summer conference ended! I’ve finally recovered from the sublime exhaustion the summer conference brings. Yes, it’s taken me this long to feel normal again. Well, really, it took me about a week to recover. Too many late-night fireside chats! Four days of learning, insight and fun is over, but I feel like I came home with a jar full stars. Shimmering bits of motivation that continue to swirl, glow and inspire even two weeks later. Speaking of friends, one of the best parts of the conference is getting to meet and hang out with my peeps, both new and old. There is nothing quite like being surrounded by people who “get” me. My tribe. There was time with my fellow Mentees, my home-base buds (OC Illustrators) and I finally got to meet and hang out with my fellow Simply Messing About teammates Laura Zarrin and Tracy Bishop! 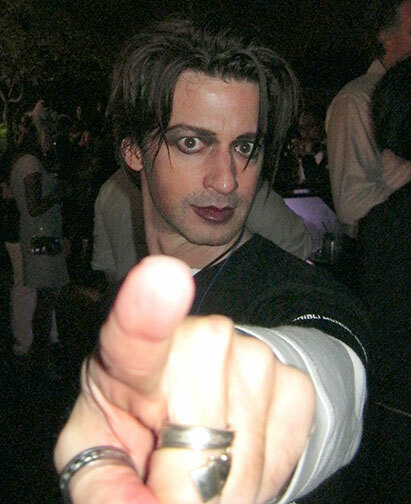 (Renee, where were youuuuu?!?) We spent one night hanging out super-late with Diandra Mae talking about everything under the sun--from our careers, to our kids, to...lots of other stuff. So. Much. Fun. I usually take pages and page of notes, but this time, I kept it to a minimum. I tried to be as present as possible during each session and really only write down things that really packed a power punch regarding where I'm at and where I'm going on my journey. Among my notes, are titles of books various presenters suggested based on their keynote/workshop subject matter. It’s pretty amazing to be able to refer to and study the books which influenced the conference faculty/speakers. Mentioned by Jon Sciezka during his keynote, “The Importance of Being Subversive in Writing for Kids: Not Every Book Should Put You to Sleep"
*Note: The Phantom Tollbooth by Norton Juster was mentioned about eleventy-hundred times throughout this year’s as well as last year’s conference. It’s first on my To Be Read list. Maybe it should rank high on your list too? 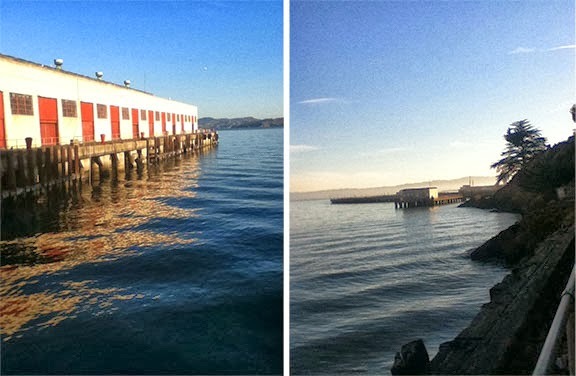 Take more pictures, so I wouldn’t have to borrow everyone else’s for blog posts! By the way, most of the list above is due to ME BEING A CHICKEN during certain circumstances. When are they going to start offering a pre-conference conference about how to not be a wallflower??? 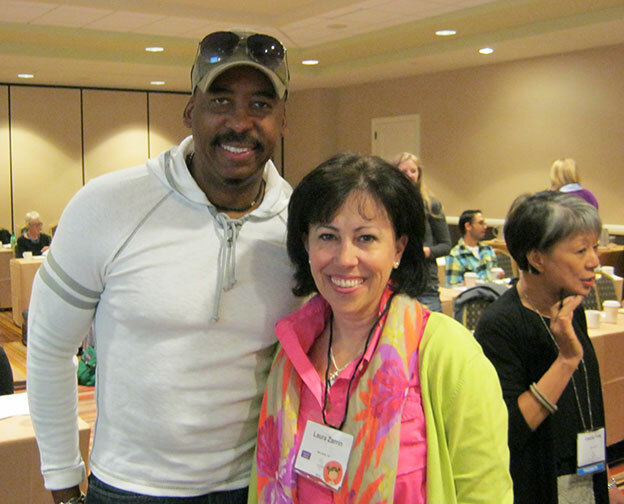 Anyhow...the SCBWI 2013 Summer Conference was amazing as usual. If you can swing it at least once in your career, go! And DON’T BE A CHICKEN when you get there! You never know how good a friend that guy behind you in the Starbucks line might become. I still can’t believe I got to go to the annual Society of Children's Book Writers and Illustrators (SCBWI) LA International Summer Conference. It was a huge opportunity for me and I wanted to get the most out of it. I didn’t want to be in a situation where I was frantically shoving postcards into the hands of every art director or editor begging for work. Believe me, that’s no fun for anyone, so I decided to set an intention for the conference. Something I could focus on and act upon that would take the pressure off. I chose ‘connection’. I wanted to connect with all of my wonderful Twitter peeps, illustrators and writers I admire, and, of course, the art directors and editors. Setting an intention allowed me to relax and enjoy the experience. It would have been completely stressful to go in expecting to come out with a book contract. That’s unrealistic. It is really helpful for art directors and editors to get to know the faces behind the postcards and for us to get to know who it is we're submitting to. It makes the whole experience feel more friendly. As Tracy said in her post, being at the conference is like being in a real live Twitter feed free from hashtags and 140 character limits. It was mind blowing and so, so wonderful! I loved meeting my fellow SMA member, Christina Forshay. I had a list in my head of whom I wanted to meet in person and more often than not, one of those people would just magically be passing by when I thought of them. Weird, but true. There are a few that I didn’t manage to meet, but I trust I will someday. I just kept my intention in mind, stayed present in the moment, and it all happened organically. I didn’t have to scheme, contrive, or be obnoxiously aggressive. I was relaxed and enjoying myself. I like to be in bed by 10pm. I love to snuggle in with a good book, but I didn’t pay an arm and a leg to read a book, so I stayed up late, hanging out in the lobby/bar or out by the fire with the other conferees. I pushed myself to talk to people I didn’t know. I’m very grateful to Diandre Mae (aka The Energizer Bunny) for setting such a good example. She always outlasted me by a long shot then popped out of bed all bright and shiny the next morning while I was dragging my sorry self out of bed. I’m still not buying her introvert story, by the way. I was pretty sleep deprived by the end, but it was well worth it. I also got a chance to personally thank some of the creators of books that touched and entertained my reluctant readers. A highlight of that was talking to Jon Scieszka who created GuysRead.com to encourage more boys to read. It was an invaluable resource for my oldest son. I also thanked Jarrett Krosoczka for creating the Lunch Lady series, one of only a handful of books my youngest would willingly read. It felt so much more real to talk to them from this perspective than to just fawn over them and their talent. I like to sit in the front row. Not a popular choice, I’m finding, but it gave me the opportunity to hang out with artist rep, Mela Bolinao of MB Artists (Tracy’s rep) and just talk about our kids. I so thoroughly enjoyed the entire experience! I made so many connections just by being open to the idea. I didn’t have to force anything; I just let it happen. If I hadn’t set that intention, I think I would have missed out on so much. 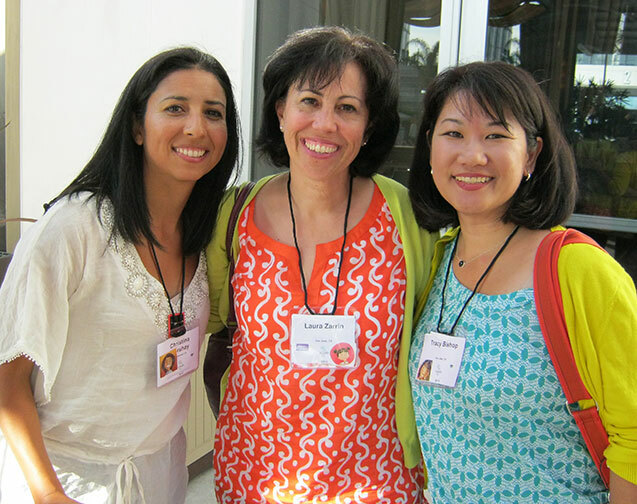 This year I was finally able to attend the annual Society of Children's Book Writers and Illustrators (SCBWI) LA International Summer Conference. It's a gigantic event where people from all aspects of the children's publishing industry converge in one place for 4 days. If that sounds overwhelming, exhausting, and heavenly, you have exactly the right idea. The strangest thing about attending this conference for the first time was I didn't feel like a newbie at all. I have to say this is all because of Twitter. Throughout the entire event I bumped into friends that I've made over the years on Twitter. Standing in the lobby of the hotel was like a bizarre real-life version of a Twitter stream. People who I usually only see online were walking right in front of me! There wasn't a moment where I felt alone or out of place. An awesome thing that happened was 3/4 of the Simply Messing About crew attended the conference! Renée couldn't attend in person but she was definitely there in spirit. Her work was mentioned twice during the breakout sessions. Laura, Christina, and I were so proud of her and cheered. Another unexpected thing that was so rewarding about the conference was it gave me the opportunity to say "thank you" to so many of the people who helped me out over the years. I was able to grow because other people were kind enough to answer my newbie questions, gave me honest critiques, and encouraged me when I was just starting out. There was nothing like being able to express my appreciation in person. Have your Twitter/Facebook profile pic on your name card! Having my profile picture on my name card made all the difference in the world. So many of the interactions started with people recognizing my avatar. Don't be shy. Speak up during workshops and ask questions. This is your chance to get information that you will probably never find on the internet from experts/heroes. Sit back and enjoy. Don't stress about getting "discovered". You are there to learn and make friends. It takes a looooong time to come up with ideas. So many of the books you think just came about overnight lived in sketchbooks for years and years. This was a common theme mentioned by many of the presenters. Veteran illustrators go through tons of revisions to get characters just right -- it's not just you! This particular observation made me feel better. It's not just me that can't get a character right on the first try. It's easy to forget that you can learn a whole lot from your fellow conference attendees. A whole lot of them are experts too. What I learned just from talking with other attendees is just as valuable as the official workshops. I'm part of the right tribe. 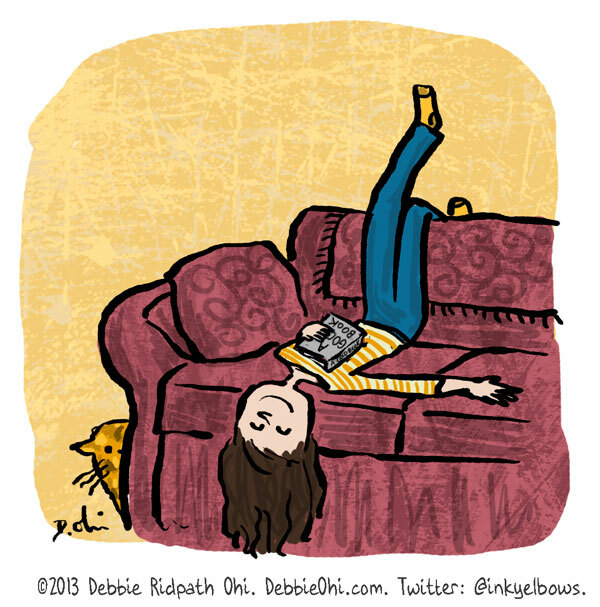 I thought I would be exhausted being immersed in the children's book world day and night for four days! That was not the case for me at all. I loved every minute of it and can't wait to contribute to this world. The biggest takeaway for me was that I was SO GLAD that I signed up for this conference. This summer has been nutty with my workload on top of having my son home from school. I was this close to canceling the trip because I thought I couldn't take the time away. But forcing myself to attend the SCBWI LA Conference ended up giving me the golden opportunity to take a step away from the daily life to be more thoughtful, get feedback, and recharge myself on why I wanted to be an illustrator. And sometimes taking the time away no matter how busy you are is exactly what you need to grow. Debbie Ridpath Ohi is a writer and illustrator based in Toronto, Canada. 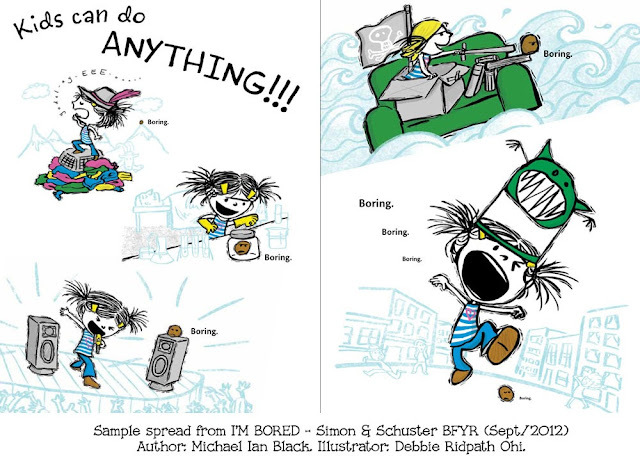 Her debut picture book, WHERE ARE MY BOOKS?, will be published by Simon & Schuster Books For Young Readers in Spring 2015. Her illustrations appear in I'M BORED (NYTimes Notable Book) and NAKED! 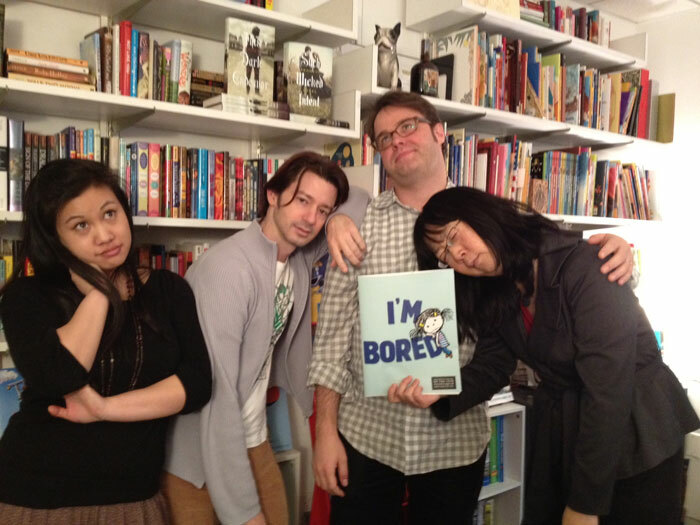 (2014), both written by Michael Ian Black and published by Simon & Schuster BFYR. She also has upcoming book illustration projects with HarperCollins Children's (RUBY ROSE books by Rob Sanders) and Random House Children's (MITZI TULANE books by Lauren McLaughlin). Debbie is represented by Ginger Knowlton of Curtis Brown Ltd. For more info, visit DebbieOhi.com or @inkyelbows on Twitter. Q: You are so dedicated to inspiring other author/illustrators with your blog, Inkygirl.com, which has become a hub for some of the most useful information in publishing (for that we are all thankful). What made you decide to start your blog? Thanks for the kind words about my blog! Answering your question requires some backstory…. I have had a writing resource website since the early days of the Web. My original site was called Inkspot, which began as a resource for children's book writers. Inkspot got a lot of press back then, and I expanded it over six years to include many types of writing. At its peak, the companion newsletter had nearly 50,000 subscribers and the site had 200,000 unique visitors. I had some excellent columnists, like Lee Wardlaw (who did the ASK THE CHILDREN'S BOOK WRITER column) and Ginger Knowlton (my agent at Curtis Brown did ASK THE AGENT column) as well as hired freelancers and community volunteers. Advertising income supported the site. I took a much-needed break, and then turned back to my writing. I also started up Inkygirl.com but have vowed to keep it small-scale and never let it grow to the point where I'm spending more time on it than on my own creative work. I've narrowed its focus to align with my own longterm career interest, which is writing and illustrating books for young people. Q: How do you schedule your work days/weeks in order to keep up with your blog and projects at the same time? Since I was offered my first children's book contract, I've been gradually shutting down or pulling back from various projects. I'll still end up posting and tweeting much more than the average person, I'm sure, because I love online communities. These days, I usually check Twitter first thing in the day; it's my equivalent of a morning cup of coffee. I also tend to check social media around lunchtime and then late afternoon. I'm still in the midst of figuring out what schedule works for me, though. Starting VERY soon, I'm going to be diving into multiple book projects for the next few years, so will need to be much more disciplined about how I spend my online time. My biggest piece of advice for those wanting to carve out more time for their creative work: Learn how to say NO. And for those who love online communities and social media as much as I do, be aware of how much time you spend tweeting, etc. Set a timer. Keep a logbook. I know from experience how easy it is to justify the hours that get sucked into the black hole of social media ("It's part of my work, really!"). Be honest with yourself about when you're working and when you're not. 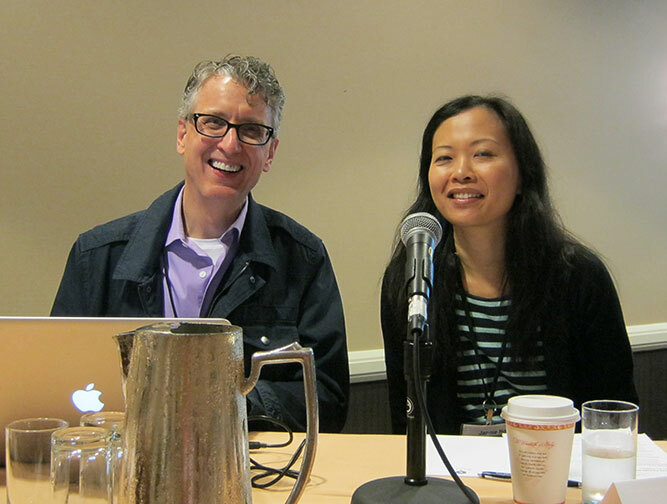 Q: The SCBWI Illustrator Portfolio Showcase was instrumental to your career flourish! 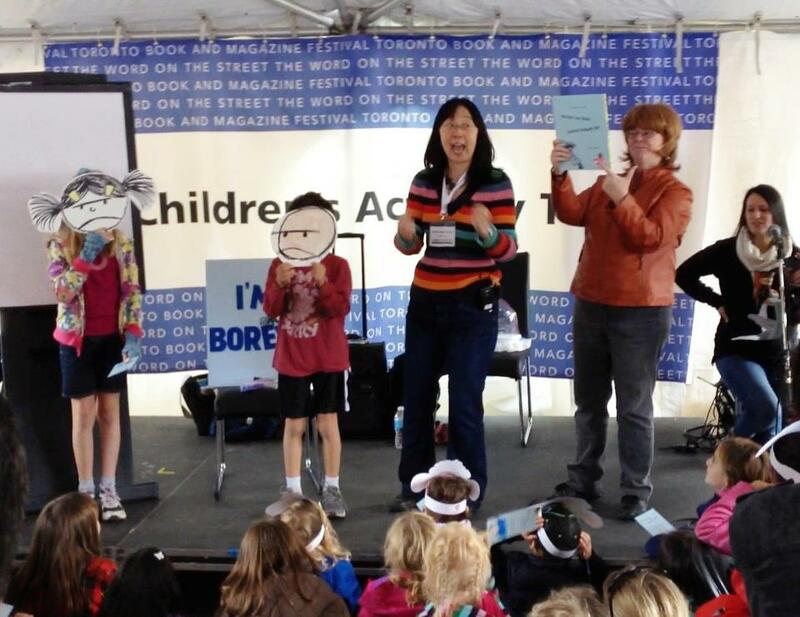 Why should every writer and illustrator join the SCBWI - and participate? 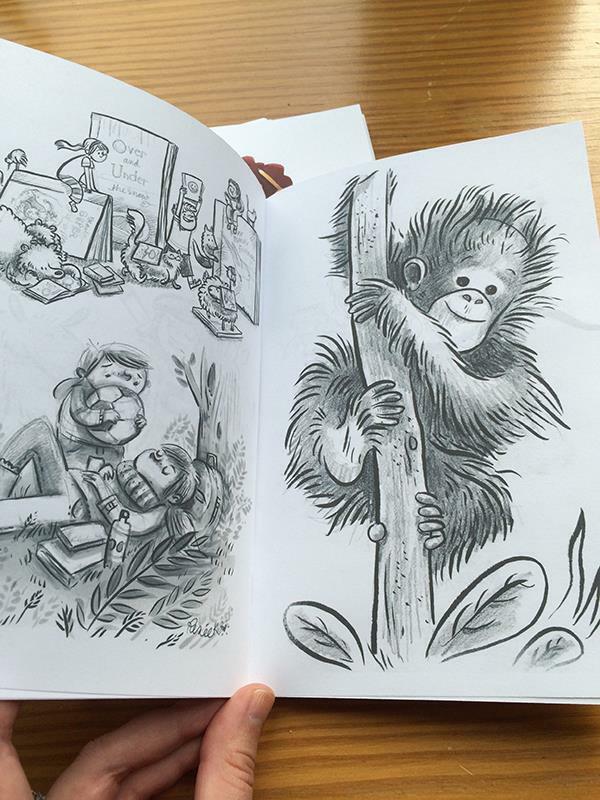 If I could send a message to my younger self, it would be to attend SCBWI conferences sooner than later. Nothing really happened for me in terms of children's books until I began to regularly attend SCBWI events. Having said that, I also want to emphasize how important it is to have a clear goal in mind when you attend these events, and to have a plan that will help you achieve this goal. The goal needs to be realistic, else you're just asking to be disappointed. “I'm going to get a book contract” is not a realistic goal. “I'm going to introduce myself to at least 20 people in the industry” or “I'm going to find out what editors are looking for” or even “I'm going to have fun” are much more reasonable goals. My friend Maureen McGowan (author of YA series, THE DUST CHRONICLES) compares publishing success to getting hit by lightning. You may not be able to control when lightning hits, but you can build better lightning rods. 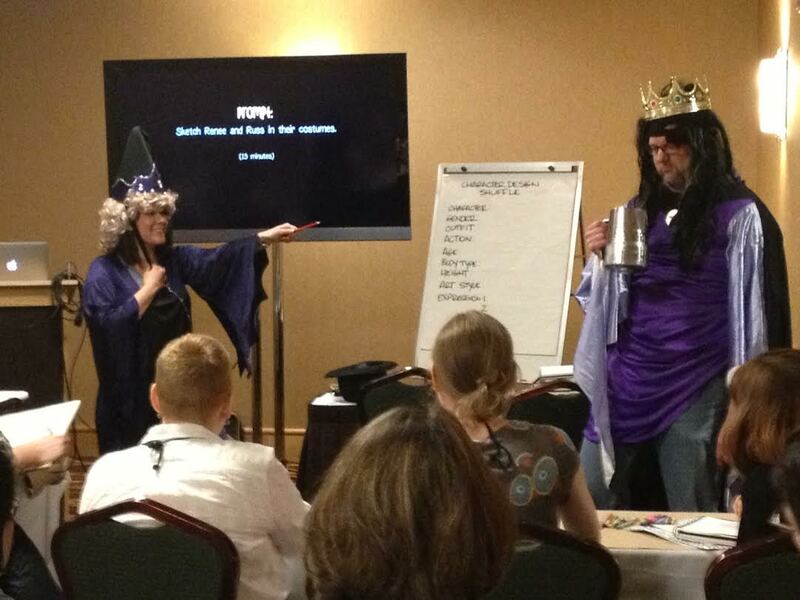 And you never know what might happen when you attend SCBWI conventions. My children's book career certainly got its jumpstart at the 2010 SCBWI Summer Conference (http://kidlitartists.blogspot.ca/2010/09/how-rejection-got-me-book-deal-my.html), when I was offered a picture book illustration contract (I'M BORED) from Simon & Schuster, as well as winning an Honor Award and a Mentorship Program Award in the overall showcase. 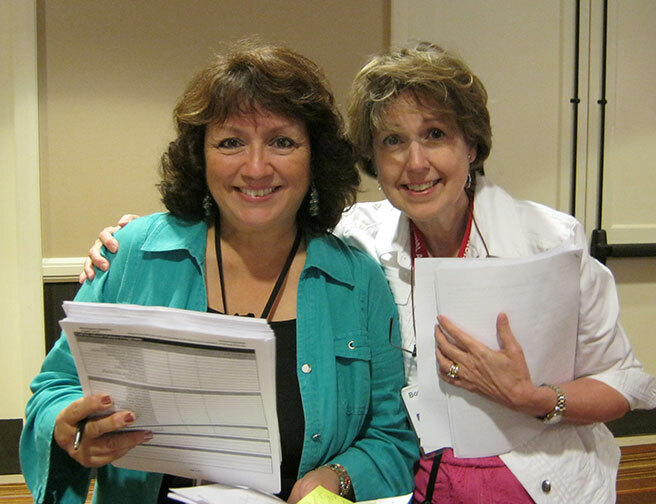 I have also made so many wonderful friends through the SCBWI. One of your members, Christina Forshay, is one of them! Q: How did you get up the courage to network at conferences before you were familiar with so many writers, illustrators, and industry professionals? Many people who have met me in person don't realize this, but I'm an introvert. I am perfectly content working at home alone all day in my little basement office, and would far rather spend the evening curled up on the couch with a good book than at a crowded party. Despite my introvert leanings, I made the decision to start attending SCBWI conferences regularly in 2009 because I was tired of rejections. My rejections had been gradually improving in quality, evolving from the "don't call us, we'll call you" form letters to more personal notes, especially after I got an agent. More and more often, my mss would get past the first reader and be shown to others, only to be shot down later in the process because it was too similar to another book on the list, or too similar to a book that was coming out, or because it wasn't quite strong enough to stand out in the marketplace. At first I was way excited to be getting so close. Surely this meant that I would be offered a book contract any day now! But the weeks turned into months and months into years, much to my frustration and growing depression. I started asking myself, "What if I never get past this stage? What if I'm just not good enough?" Up to that point, I had been highly resistant to the idea of networking. The word "networking" had such negative connotations for me. It should be about the WORK, not about schmoozing, I had told myself. Forget about the networking, just focus on your craft. 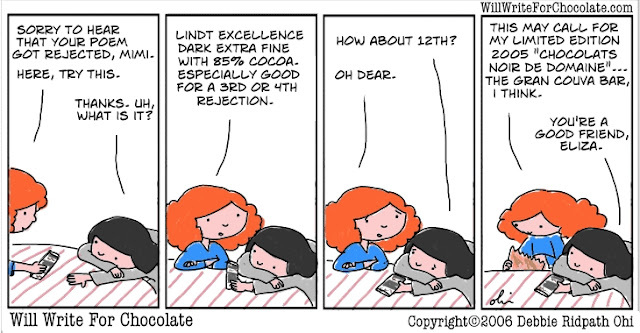 Eventually, your work will find the right editor. Plus I was also terrified at the idea of having to spend an entire weekend trying to network with strangers, especially since I felt like I was a nobody. I dreaded having to walk up to people and insert myself into conversations. What I found: people at the convention were friendly and just as interested in meeting others as I was. Much to my initial surprise, I had a lot of fun! And by the end of the convention, I was seeing familiar faces in the hallways and session rooms; we'd greet each other and catch up on our favorite speakers so far, what we learned, and so on. Q: A big theme on our blog is how to get out of creative ruts! What do you do when you get stuck? I go for walks. I usually never listen to anything during these walks, to give my subconscious a chance to turn things over. Almost always, I'll come up with an idea for a new creative project, or a way of getting past some challenge in a work-in-progress. Something else that helps: Going to my local bookstore or library and looking through the children's books section. Q: You're always smiling! How do you maintain your positive attitude? Heh, not sure my husband would agree about the "always smiling" part, but thanks. Answer #2: So does having a support network. I feel very lucky to have the family and friends that I do. Q: Would you mind giving us a list of all the places we can all find you online? 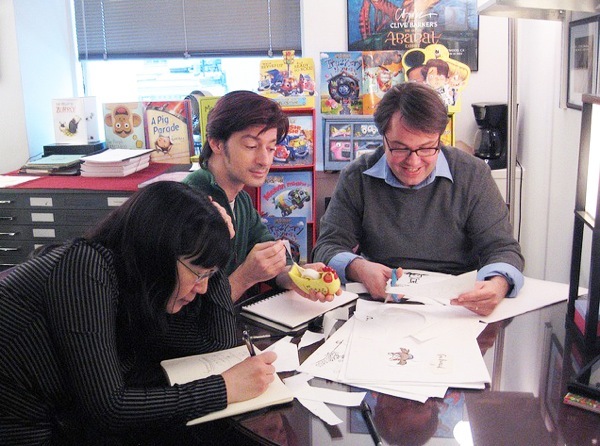 Debbie with art director Laurent Linn and editor/publisher Justin Chanda at Simon & Schuster Children's. Thank you SO MUCH for sharing your fantastic journey with us Debbie! I have a magnet on my refrigerator (a place I frequent!) with a quote from Winston Churchill that reads: "Never, never, never give up." As small as that sounds, it's the best reminder to keep pursuing my goals. A real life story of perseverance is a little long to paste on a refrigerator. However, after reading Debbie's story, it will definitely stay in my memory bank and resurface every time I read that quote. 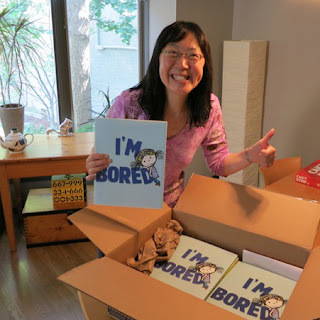 It's hard work, but if you love what you do, persevere, and you embrace your peers (*kidlit artists and writers are the FRIENDLIEST folks in all the land*) - you could find yourself as lucky as Debbie and be really, really, really...Bored...and NAKED!